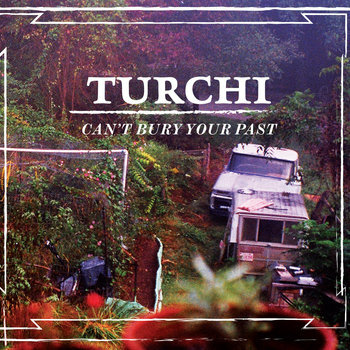 If you're in the market for something rough-and-tumble, here's Turchi's new album Can't Bury Your Past. I finished listening to this album and found dirty underneath my nails. Guitarist Drew Turchi describes his band's music as "kudzu boogie" and I can't think of a more apt description. Turchi's growling vocals are matched in intensity by a backing band that sounds like it's hit every blues bar south of the Mason-Dixon. This is blues on a visceral level that calls to mind early Black Keys. The opening riff on "Your Ex, He's Next" is pure honeyed goodness.Turchi's signature fuzzy, mellow guitar will save your soul as soon as send it straight to hell. And maybe you deserve it.